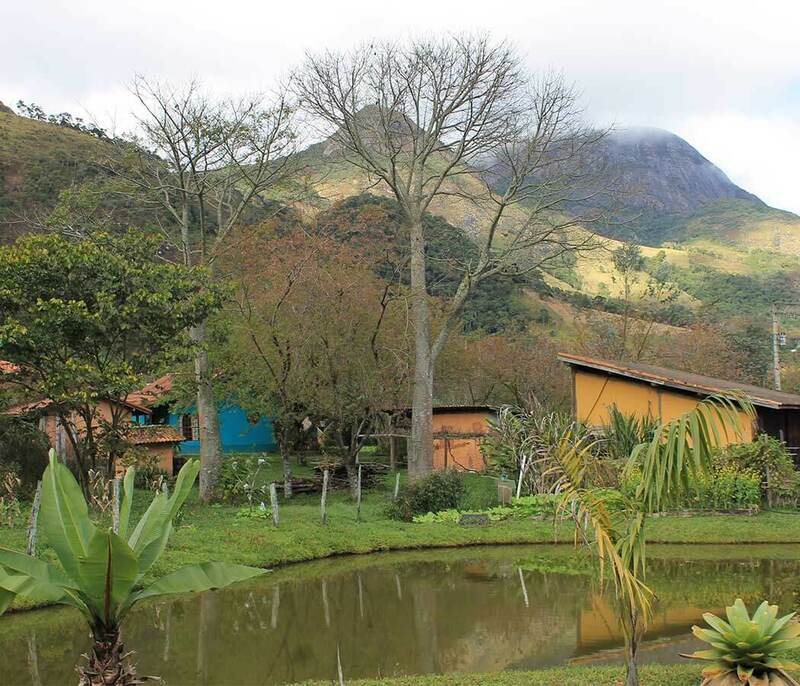 Eco Caminhos is an eco farm that strives to become self-sustaining in food, energy and building materials. We build natural (bioconstruction) houses. 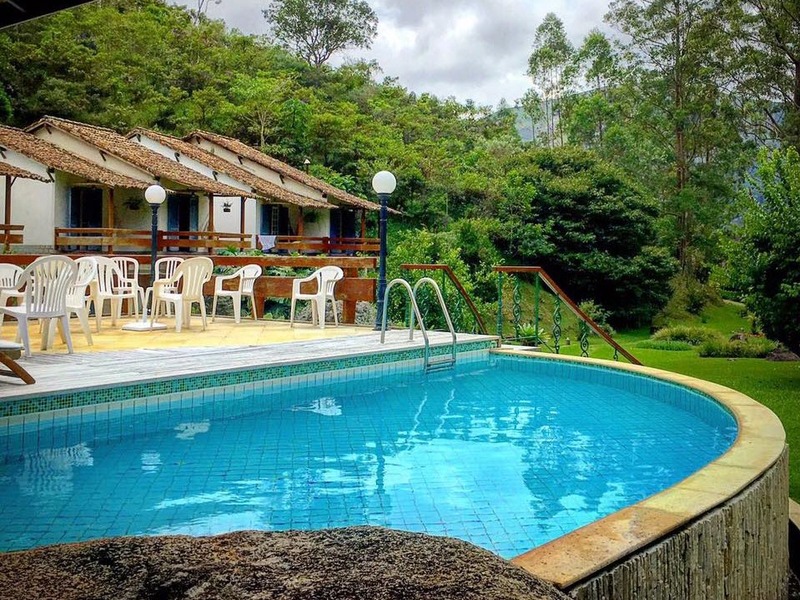 Eco Caminhos is situated in the beautiful mountains of the Atlantic Forest on the outskirts of the national reserve “Três Picos” (Three Peaks), close to the city of Nova Friburgo. 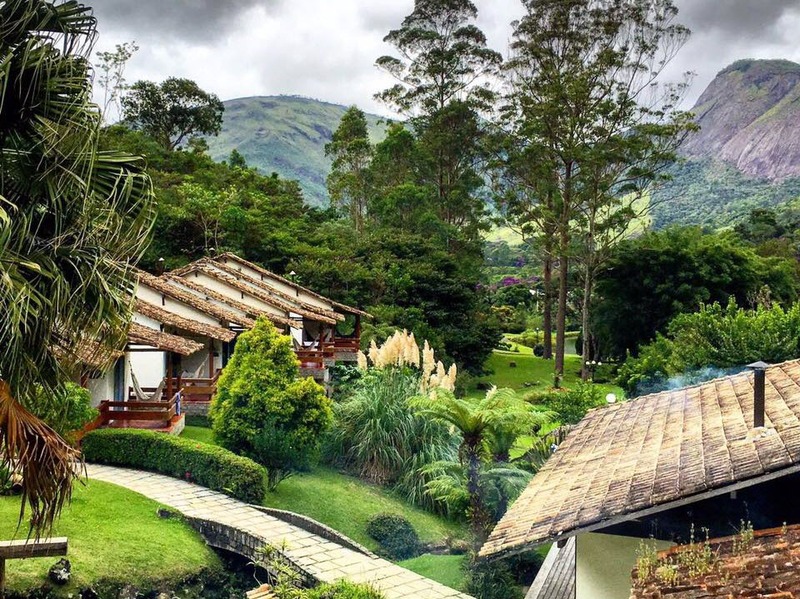 These beautiful green mountains are rich in flora and fauna. 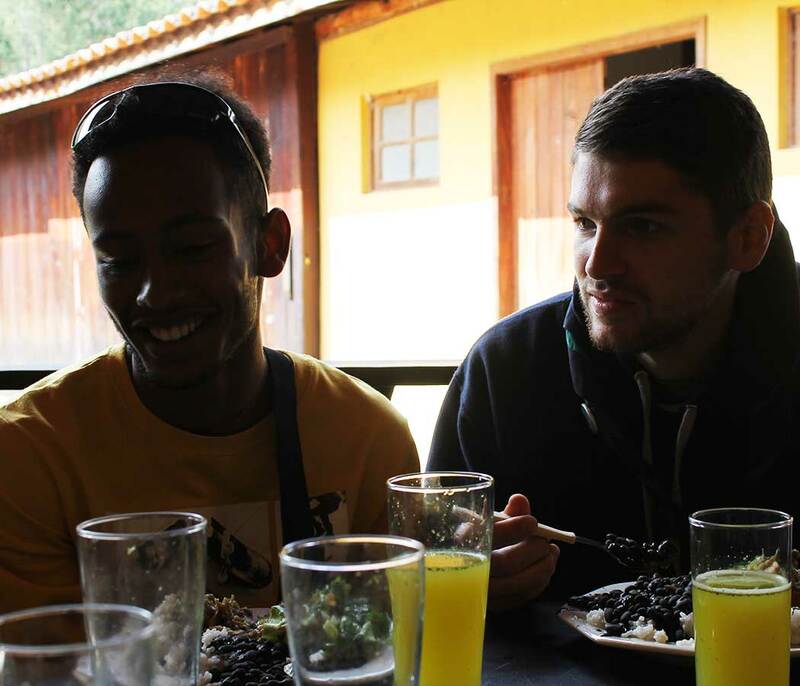 We offer students an interesting theoretical and practical experience at a Brazilian Eco Farm. 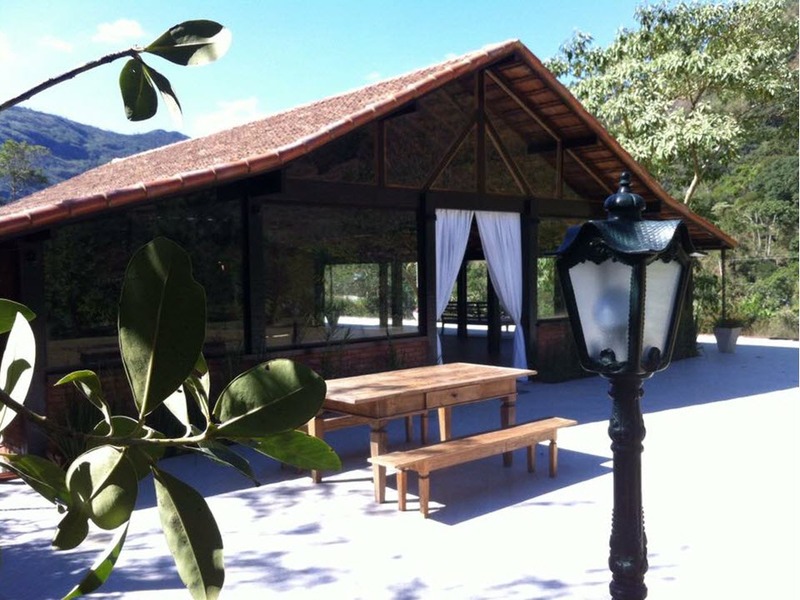 Following many specialists, we have built one of the best bio-constructed houses in South America, which perfectly combines both natural and recycled materials with advanced technology. 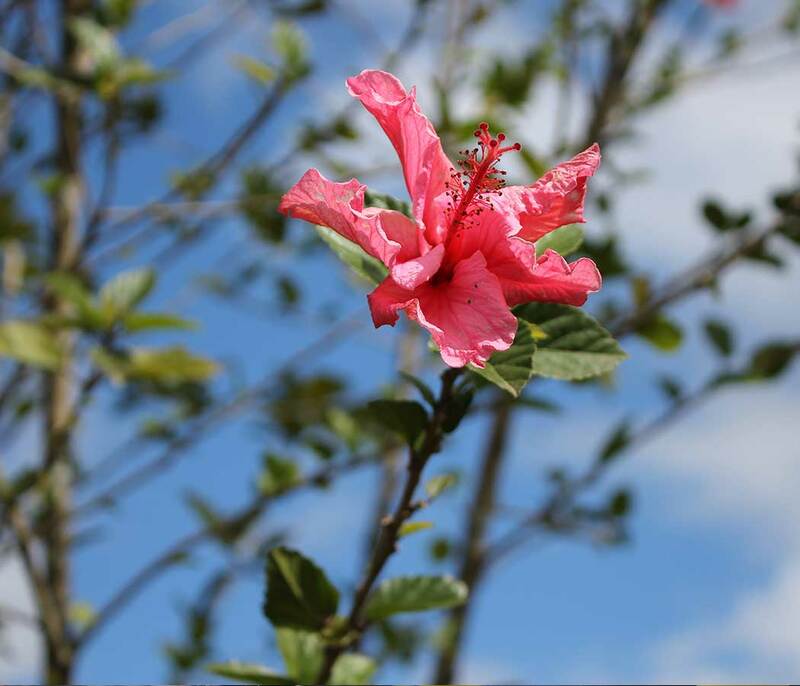 We are now starting to apply agroforestry as well, a system of food-producing trees, bushes, and plants which copy the natural structure, cycles and equilibrium of natural forests. This system has the potential to solve the world food crisis, produce large quantities of wood which could stop the unnecessary cut-down and destruction of the Amazon Rainforest and so many other biomes around the world. This system is completely organic and produces its own compost, self-fertilizing its own soil, excluding the need to use any sort of polluting agrochemicals. 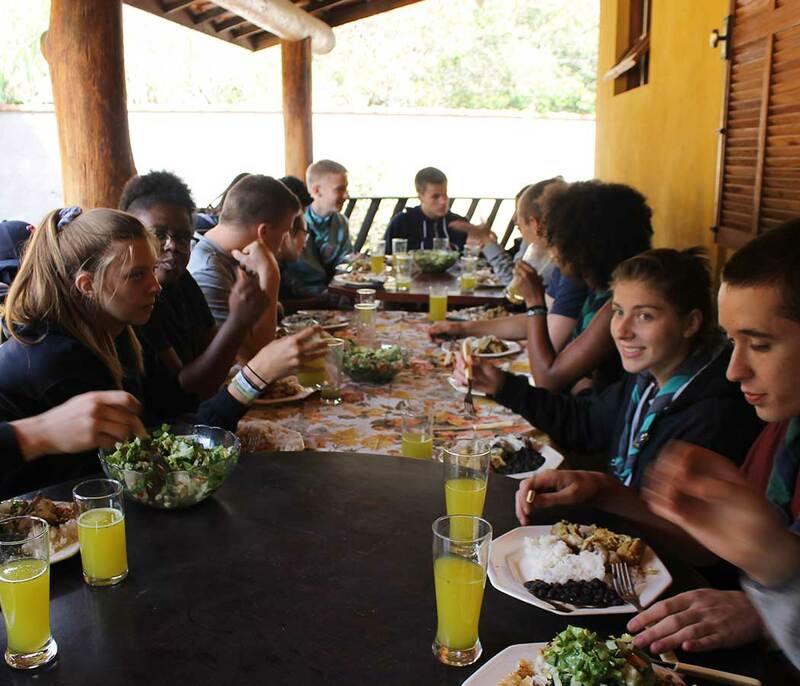 Eco Caminhos is experienced receiving groups from around the world, offering customised programmes that allow students to understand the theoretical concept of a self-sustaining eco farm combined with practical hands-on experience. 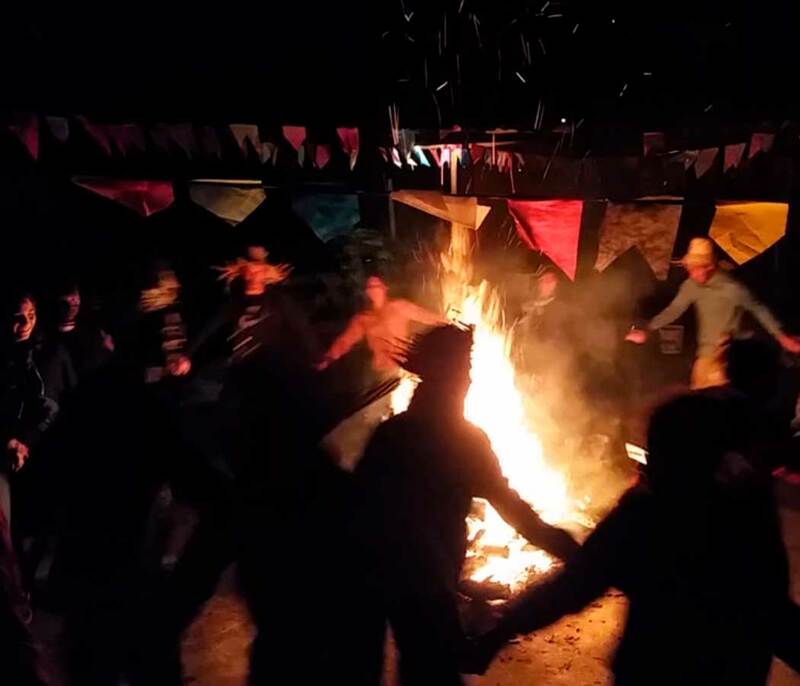 We also organize activities that include hikes, horseback riding trips, night walks to the city and campfires and many cultural ones to experience typical Brazilian customs, food and music. 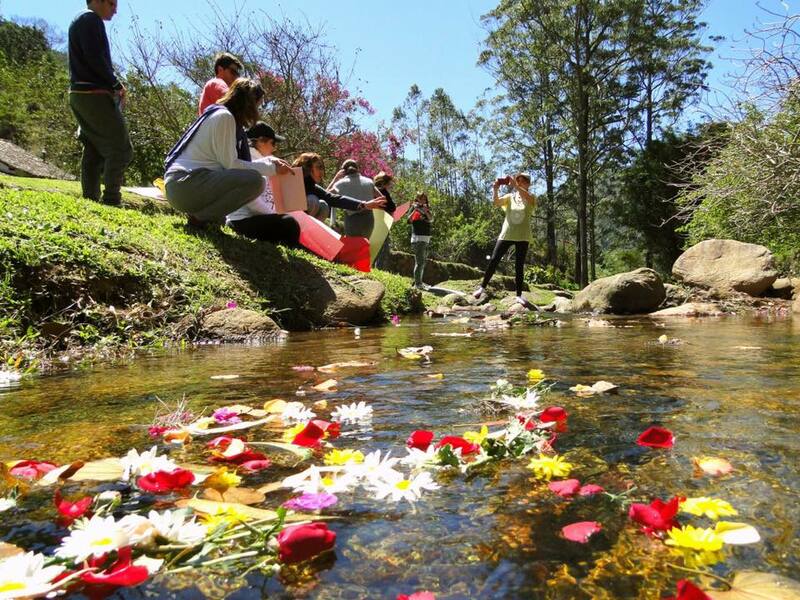 Eco Caminhos also organises “Caminhos in Action”, an initiative aimed to contribute to the local community. We have formed a partnership with an impoverished public school nearby to set up an organic farm with the children, in order to stimulate a healthier diet and familiarise them with sustainable farming and practices. We also refurbish the houses of people and organisations in need with natural sustainable building materials and techniques. Our team consists of a wide range of specialists. We have an architect, a master of business, 3 engineers, an agronomist, a graphic and industrial designer, a veterinarian and a few bioconstructors and farmers. Brazilian Cinema Group Dynamics Brazilian Cinema Campfire night walk into town. 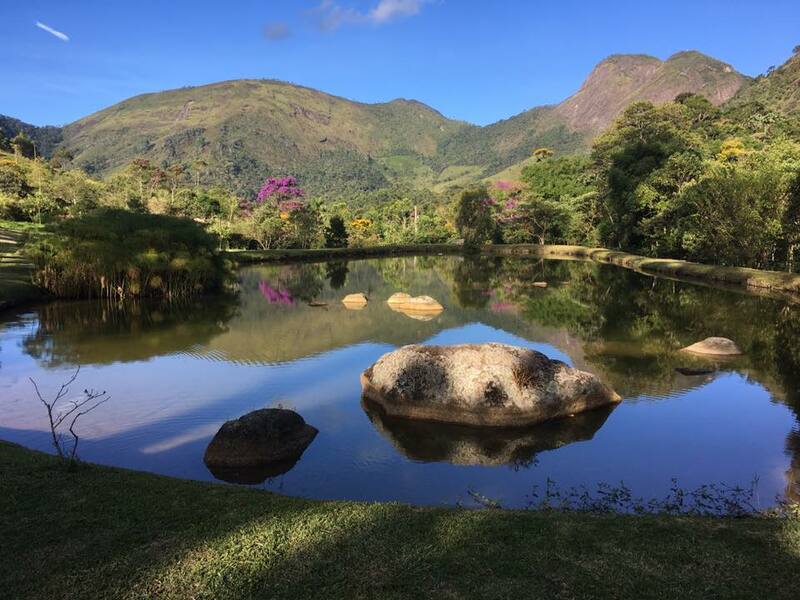 At Eco Caminhos we care about your safety, we organise airport transfers with trusted drivers, and the community we live in, Cardinot, is extremely safe. 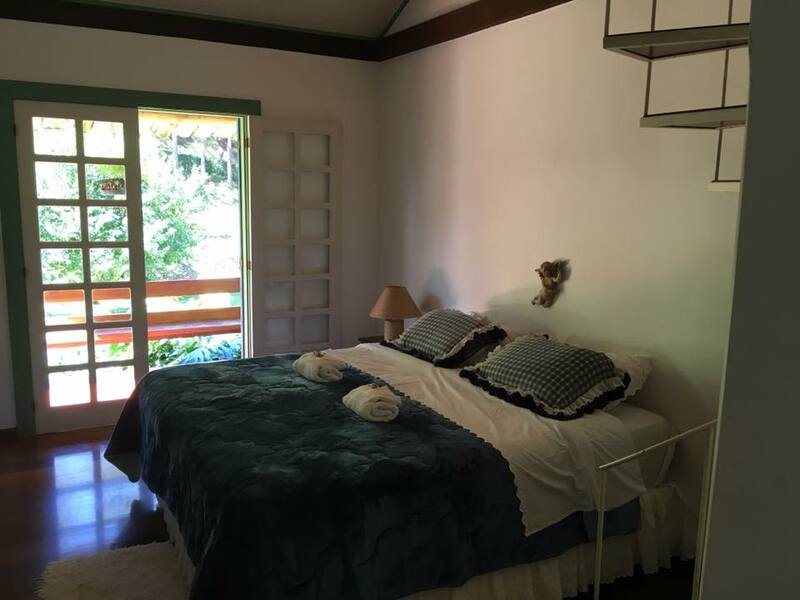 Groups can choose to stay at an all-inclusive luxury guest house with incredible facilities or go for the cheaper and more basic option of staying at a local farm. 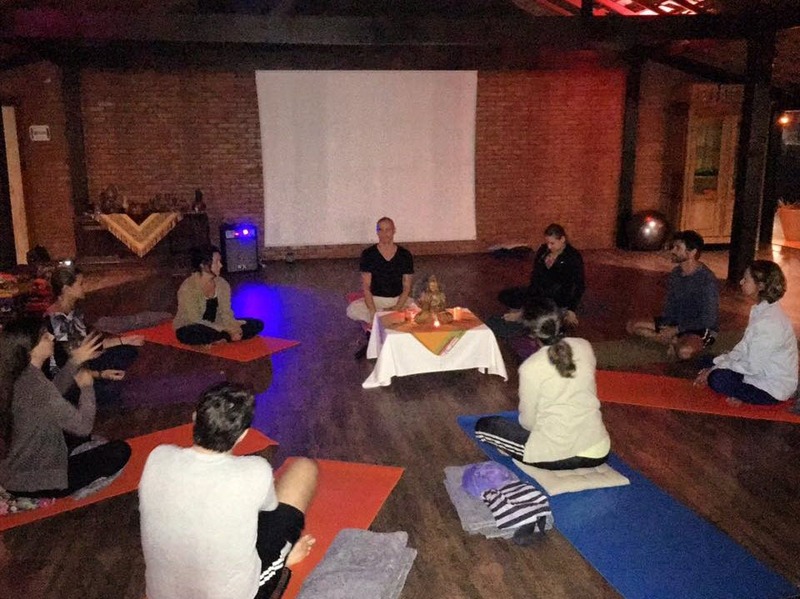 While we are committed to creating a complete and unforgettable eco experience for your group, you are welcome to organise your own events here as well. Please contact us to discuss the possibilities and how we can best facilitate your stay with us. 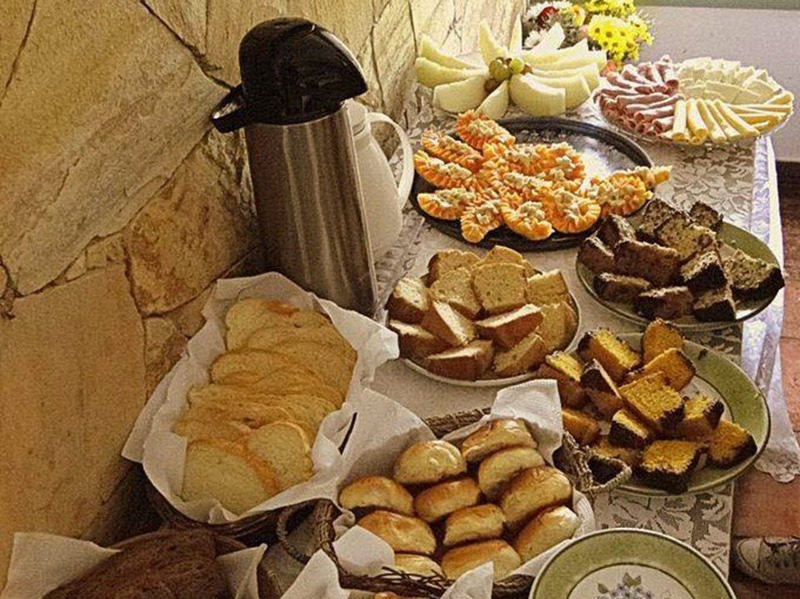 Eco Caminhos offers 2 types of group accommodation facilities: luxury and basic. 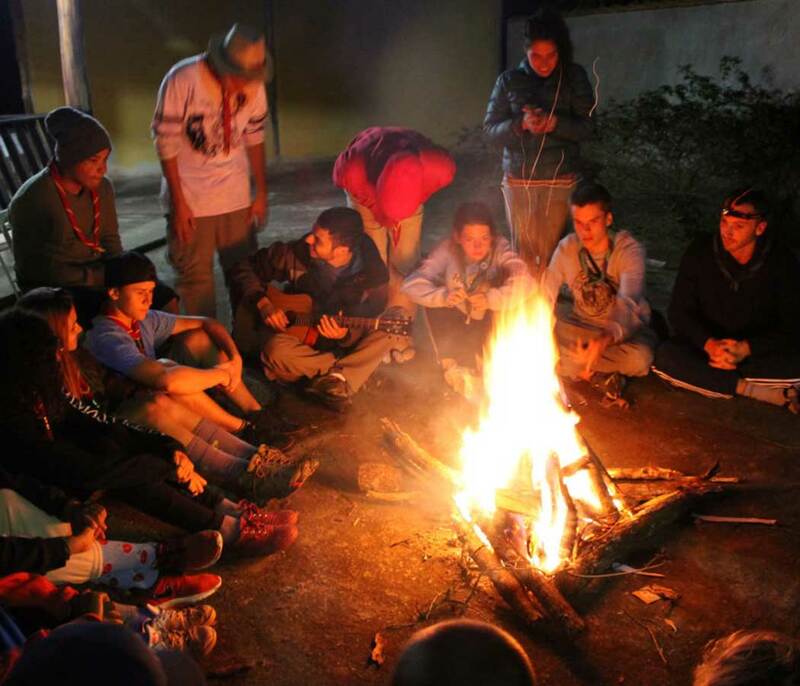 Campfire: We enjoy organising campfires and meals under the stars, which can be part of an overnight stay in the mountains. 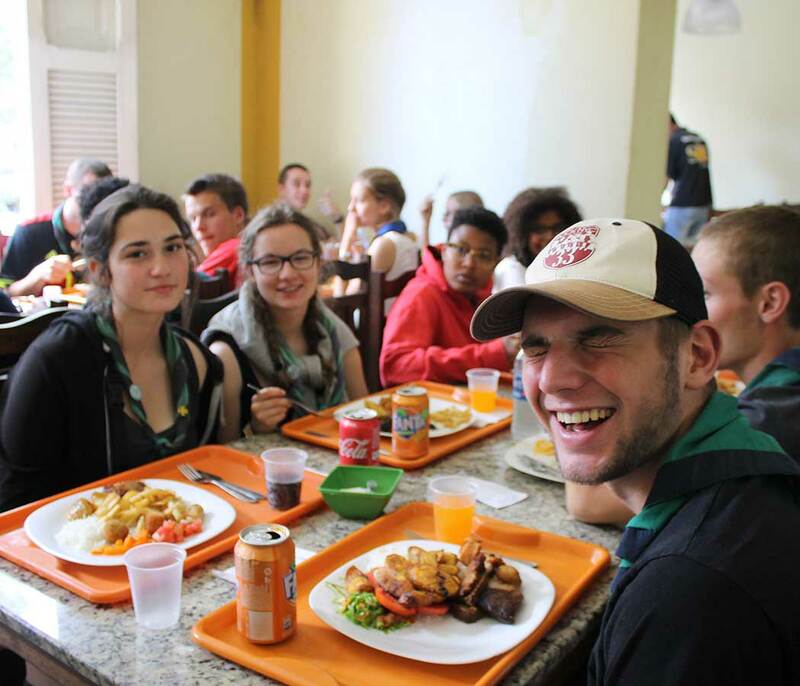 Caminhos In Action: We organise social actions in the region for people who need our help. For example, we built a vertical farm for an impoverished school and refurbished the house of a poor rural family. Customise your programme: It is possible to use our facilities while organising your own programme, workshops, or courses. Medical care: Groups are expected to come with health insurance. We do not charge for any of our listed activities, however in case there are costs for transport, food, accommodation or administration, you are expected to cover these costs. Transport: We organise transportation for groups, including airport pickup and drop-off. Because this needs to be customised, we do not include it in the price. 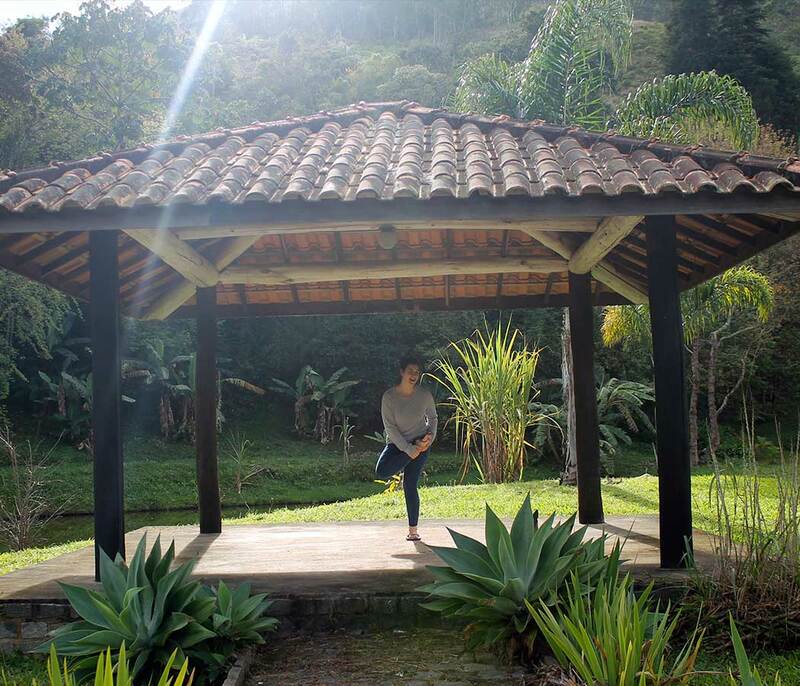 Eco-sports: Beautiful hikes, horseback riding, waterfall tour, camping. Workshops: Bioconstruction, Organic farming, Permaculture, Renewable Energy, Eco-Social Entrepreneurship, Yoga and Meditation. Customize your programme: It is possible to use our facilities to do your own programme, workshops or courses. Cleaning: You are responsible for cleaning your room and the things you use during your stay. We do not charge for any of the listed activities, however, in case there are costs for transport, food, accommodation, or administration, you are expected to cover these costs. To guarantee your safe and comfortable arrival we can organise your transport in Brazil. We have trusted drivers and transport companies that are accustomed to taking our visitors from A to B. 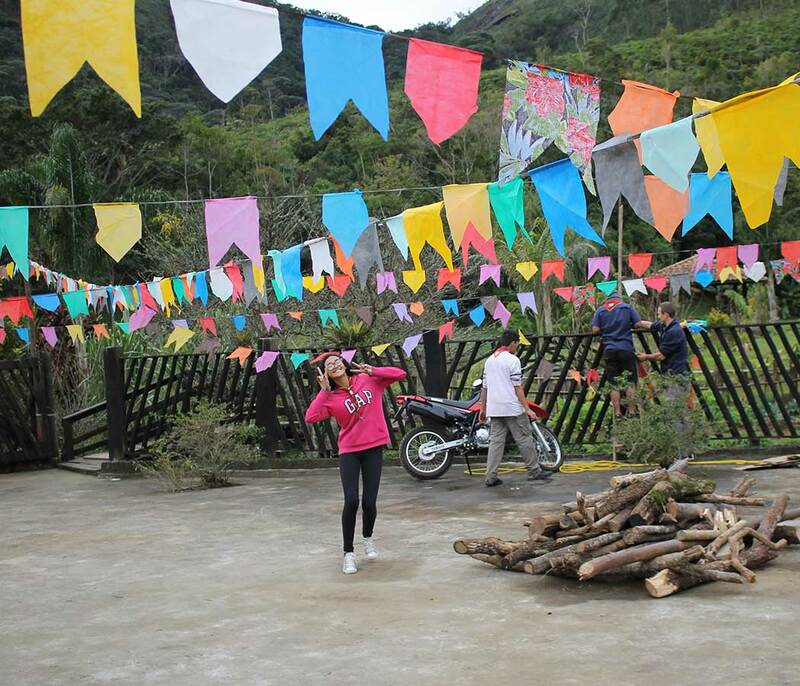 * Our prices are in Brazilian Real and are exclusive of tax. The prices in Euros are indicative and the exact amount in Euros (or US$) will be calculated on the day of booking.